Autumnal Plantings…everything seems to fall into place! Trim is the icing on the cake! 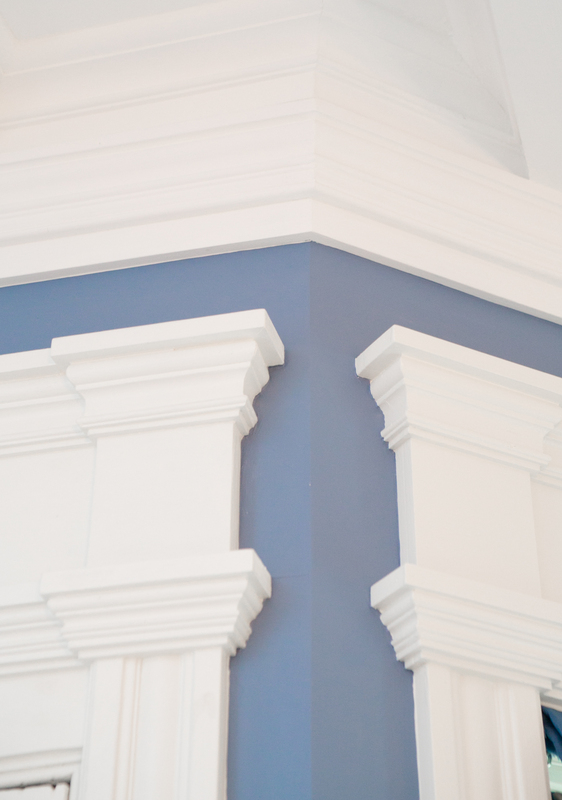 Trim is the icing on the cake, or walls in this case. 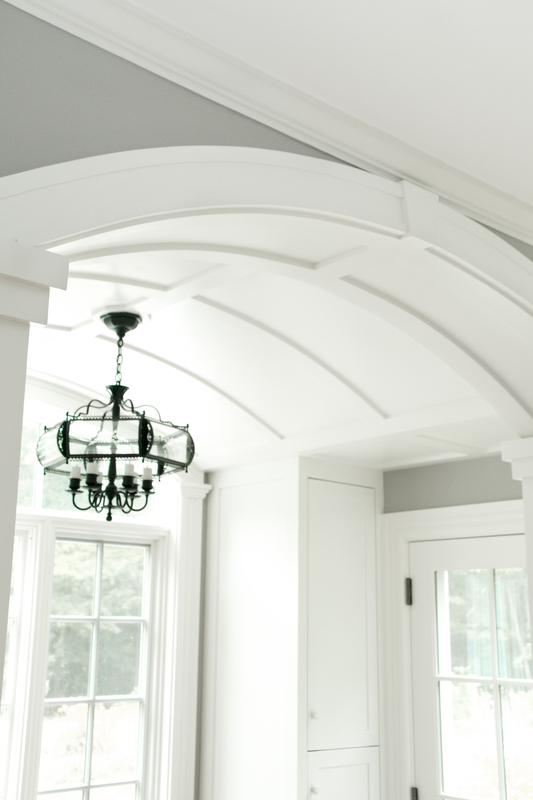 Some houses are not architecturally interesting, the good news is, we can add details that make a home shine. This is something I have known for my entire life! I grew up in a design family. My great-grandfather was an impressionist painter, my grandfather was an architect, my father was an architect, and my mother was an interior designer. I literally was born to be a designer. All four of my siblings are in design too, my oldest sister is a design guru, she is launching her new company with my cousin (www.studioepartners.com ) , my oldest brother is an architect working in retail design, my other brother is an accomplished designer and artist (www.afstudio.com) , and my other sister works as a lead designer for Chronicle Books. My role with my clients is often as a design consultant, confirming decisions they have made and guiding them towards the best options for their homes. Sometimes I have to teach them how important the details are to good design. In the house below I worked with two accomplished finish carpenters to design trim and built-ins that looked as if they were original. I normally believe that less is more…but that did not fly with this client…more was more! We installed and ripped out several versions of trim before coming up with the right recipe to satisfy everyone involved! This is a new space, originally the back of the house it is now just off the new entrance. We added TONS of trim! 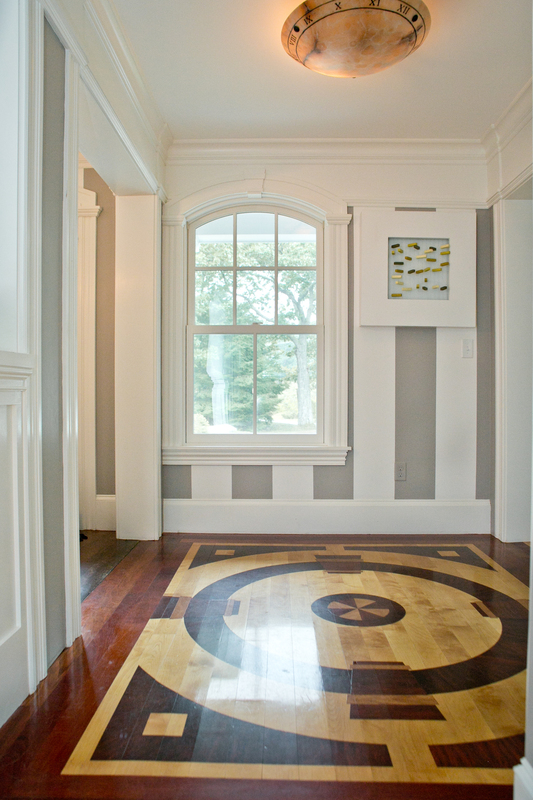 We also painted the floor to look like it was inlaid wood. This is the new main entrance. 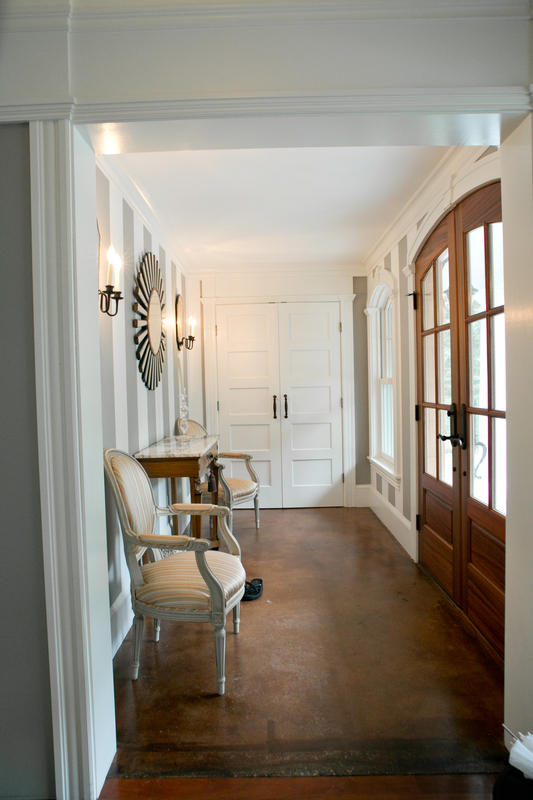 Stunning doors and trim. 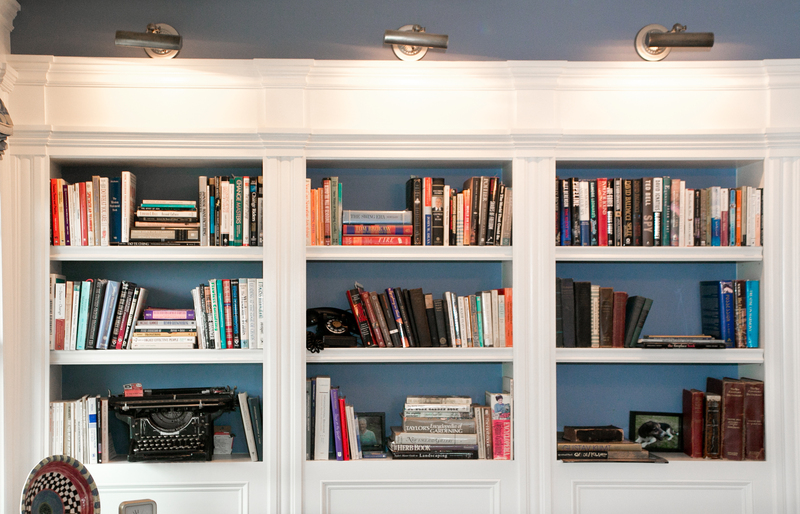 These bookcases were here but, they were not finished. We added paneling below and trim to surround it. This is all new! I think the carpenters did an incredible job! 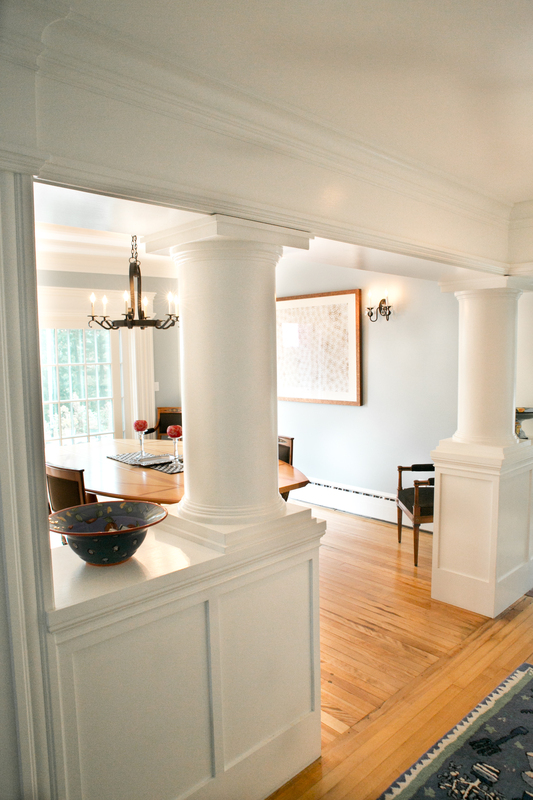 This was just an open space we added the half wall, trim, paneling and columns. I hope you can see how trim can transform a space. I hope you enjoyed seeing this project, please let us know by liking our post, if you really like the post comment on it! Thank you for reading! If you do not already follow us…please sign up. Looks so great, Celia! 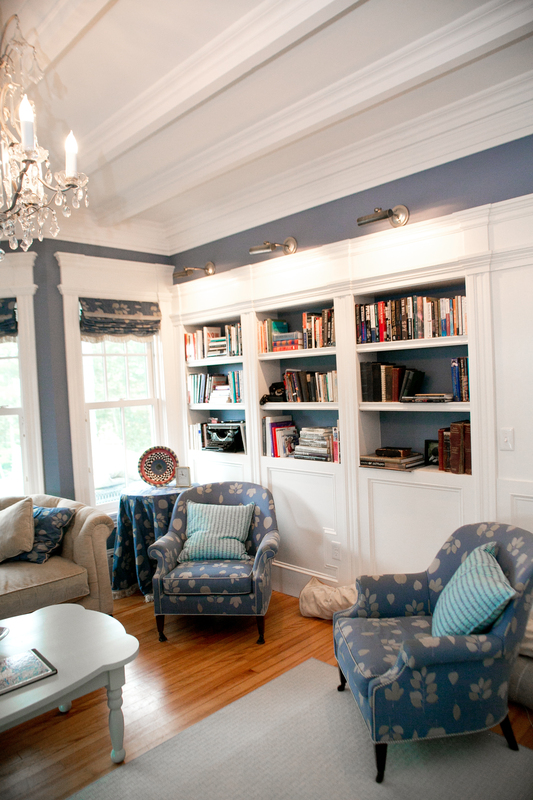 I especially like the addition of the half walls and columns — makes a big room so much more intimate and functional. Bravo! Thank you! i wish i could get her to Home Remedies for fabric!